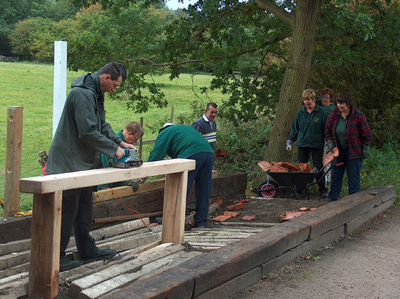 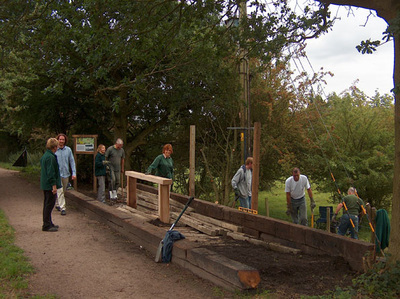 ​This is how we re-constructed Stane Street Halt near Hatfield Forest in August and September 2011. 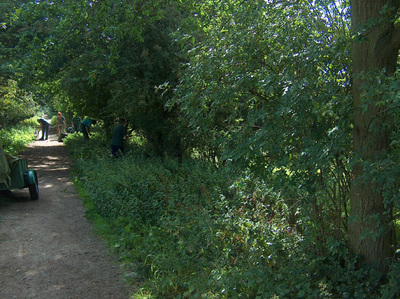 A large team of volunteers set out on 2 August to the site near Hatfield Forest and started to clear the site ready to start work on re-instating the old railway Halt that used to exist here. 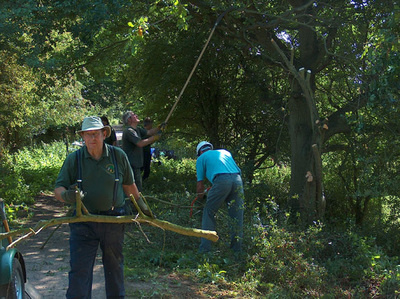 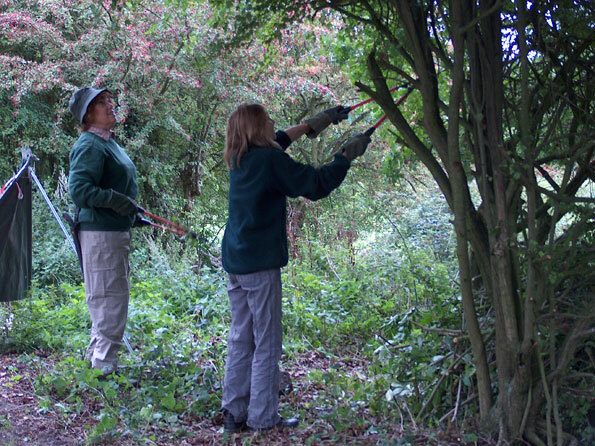 There was much to be done but everyone worked hard as usual clearing back the overhanging trees and scrub. ​The sleepers were very heavy so four volunteers were needed to get together to move them into place to create the front edge of the Halt. 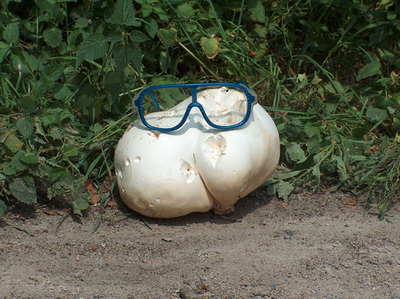 This pufball was recruited as a possible future volunteer! Stan prepared one of the sleepers ready for cutting while the others were discussing tactics. Stan took the first turn to cut the sleeper. 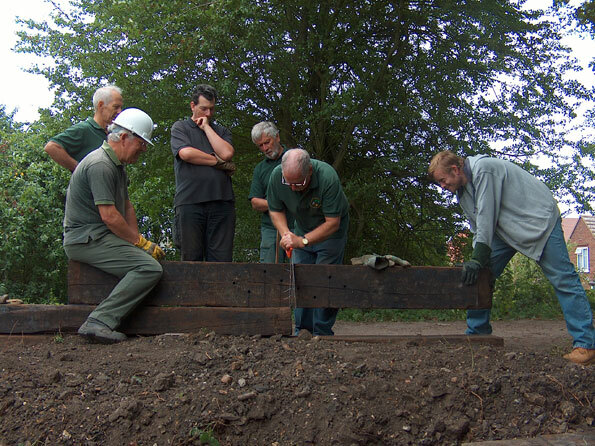 This was more difficult than it looked and before long Pete stepped in to have a go. 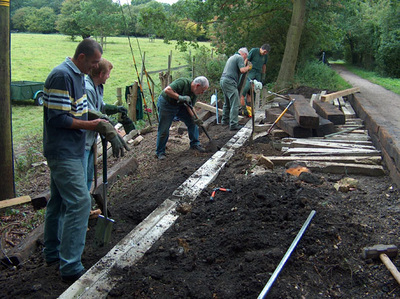 By the end of the day the halt was beginning to take shape. The next work party was very wet so no photos were taken but a dedicated group of our volunteers worked diligently throughout the morning transporting a huge number of concrete posts from the dump site in Hatfield forest so that they could be used as infill for the Halt. ​So today the team returned once more to carry on with the task. 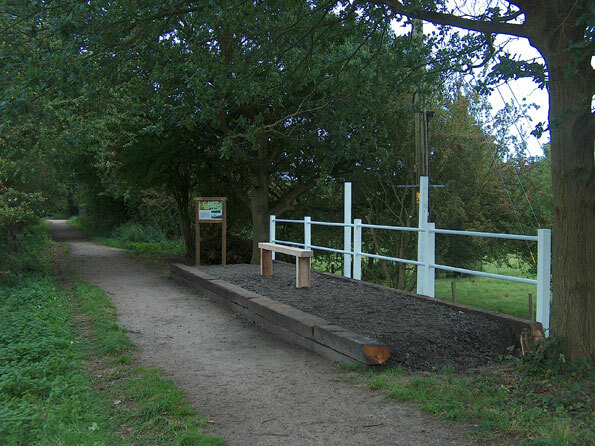 It was clear that drastic measures were needed to shore up the back of the Halt to ensure it was not only level but safe. 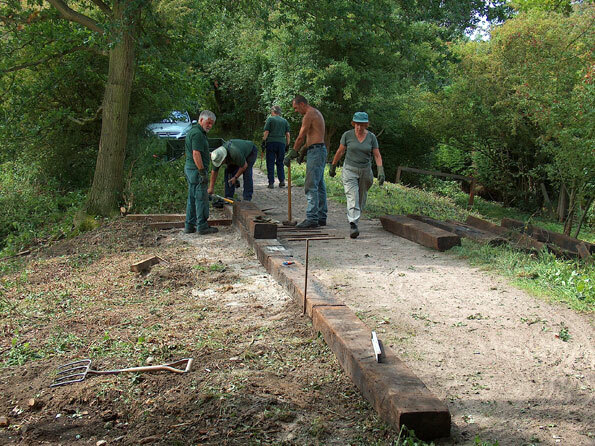 Andrew had drawn up a critical path plan of action and the first thing to be done was to lay a level grounding for the heavy sleepers at the back of the Halt. While Andrew, John, Carl, Stan, Paul and Bob set to work on this task Wendy, Val and Gloria started clearing the surrounding scrub and overhanging branches and searching for large stones to fill the holes for the concrete posts that were to be used for the supports. They all worked hard and the base was set in by tea break. 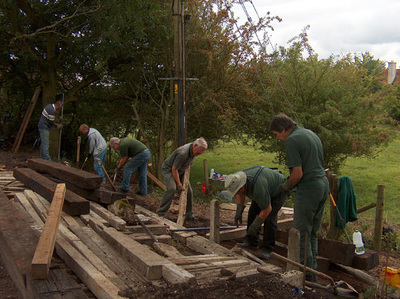 The team then set about laying the sleepers and using more of the concrete posts to give a secure support for the back of the halt. What an ingenious way of recycling these old posts. The last sleeper was put into place just in time for the team to stop for a well earned lunch. After lunch Stan, Bob and Paul decided to put in the noticeboard which gives historical information about the Railway and showing photos of the old Stane Street Halt. It also has a copy of our Flitch Way leaflet showing "YOU ARE HERE". While this was being done John and Carl start to put the bench in place. 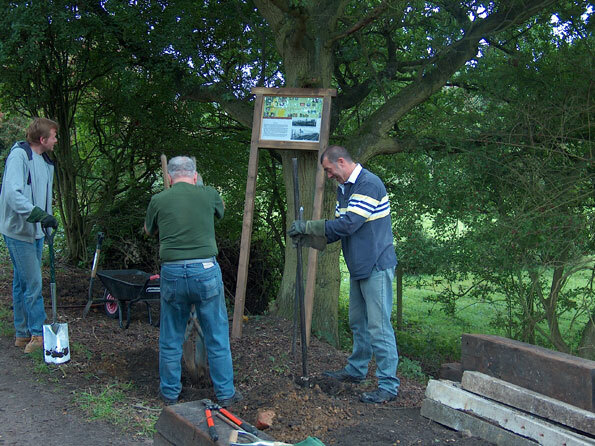 The final task for the day was to put in the large posts that will hold the sign for the Halt. 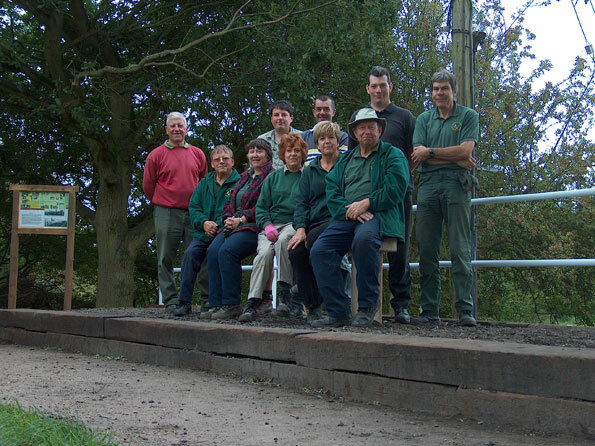 At the end of the day the team pose for a photo feeling very rewarded by a job well done. Thank you team!! Laying a level grounding for the heavy sleepers at the back of the Halt. 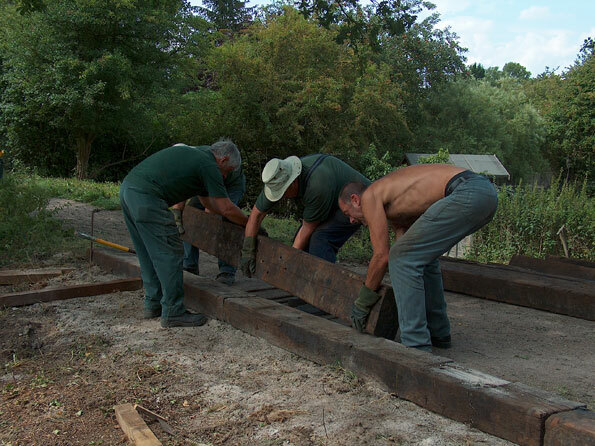 putting the last sleeper in place for lunch. 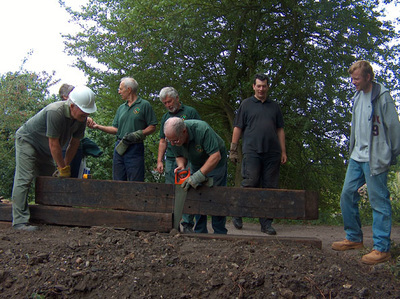 John and Carl start to put the bench in place. 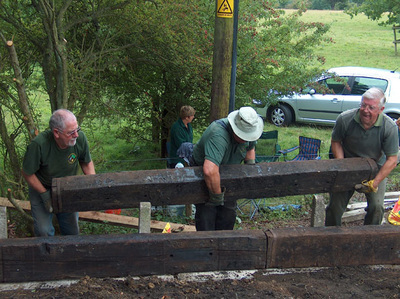 Putting in the large posts that will hold the sign for the Halt. 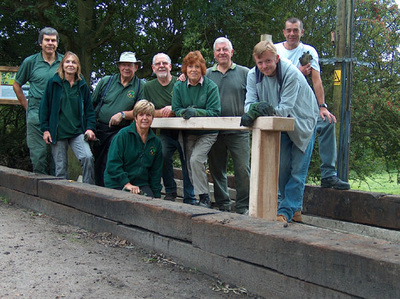 A job well done. 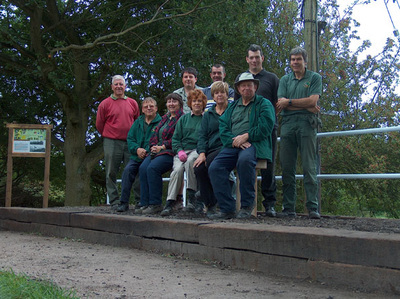 Thank you team!! 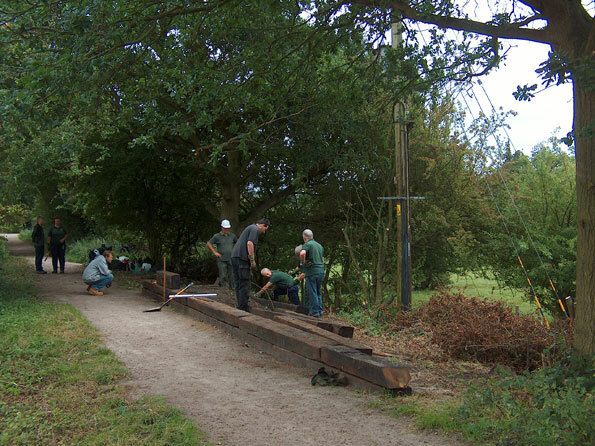 The team returned to continue with filling in the Halt and building a safety fence along the back. 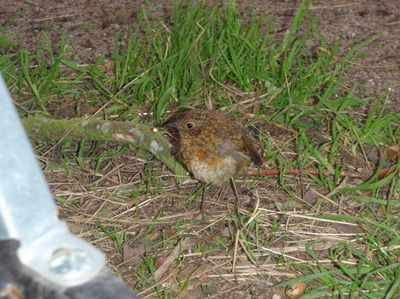 Everyone stopped to look when a baby robin decided to pay a visit searching for food in the disturbed ground. 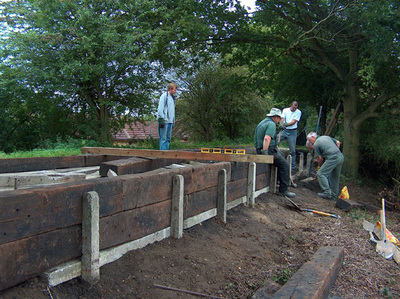 By mid-afternoon the fence was finished and Tom arrived with the road planings to fill in the Halt. 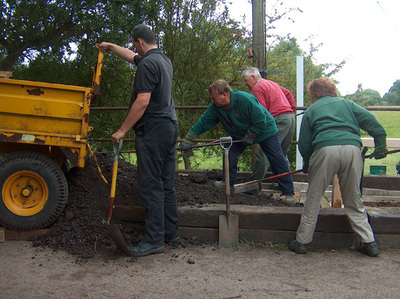 It was all hands on deck to get the planings out of the trailer and to rake them in. 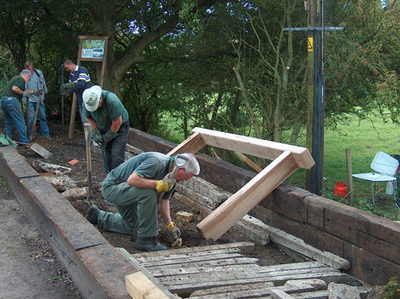 Then while Tom went back for some more planings the team set to work painting the posts and the fence. 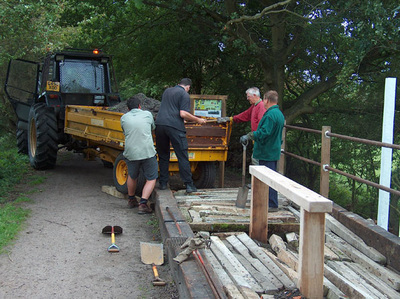 Everyone decided to stay late to finish off the job. Another brilliant days work to finish a task that we could all feel proud of. 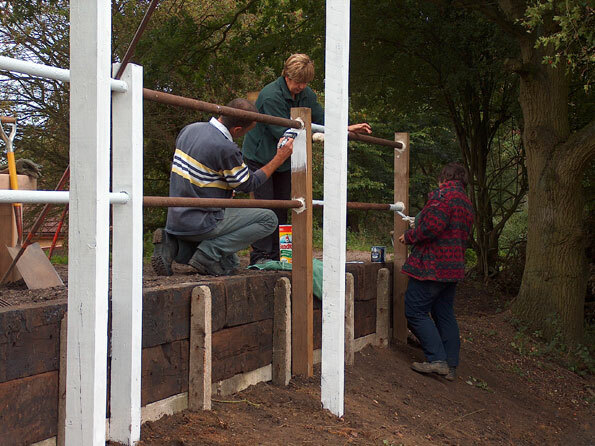 painting the posts and the fence. 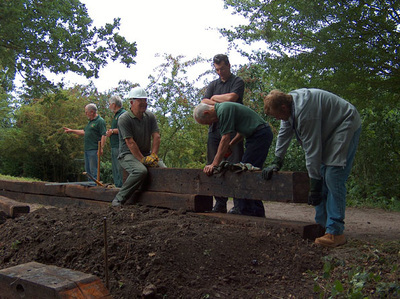 Everyone stayed late to finish the job.